The Argentine took Real Madrid to seven points from Barcelona and after being ten away now the difference is six. He came to four but Eibar's setback pushed him away. The Real Madrid de Solari travels with a favorable wind towards a decisive stretch of the season in which its future will be played in the League, Champions and Cup. To the good image given in the Camp Nou in the Copa and in the Wanda Metropolitano in the League, the circumstance that the difference with the leader, Barcelona, has been reduced to six points, two games, and drawing on the horizon an almost decisive Classic liguero del Bernabéu. Y although it may seem that reducing a point in thirteen games is a minor thing, must remember that the white slides against Villarreal (2-2) and Real Sociedad (0-2) in the days 17 and 18 left the gap in ten points. 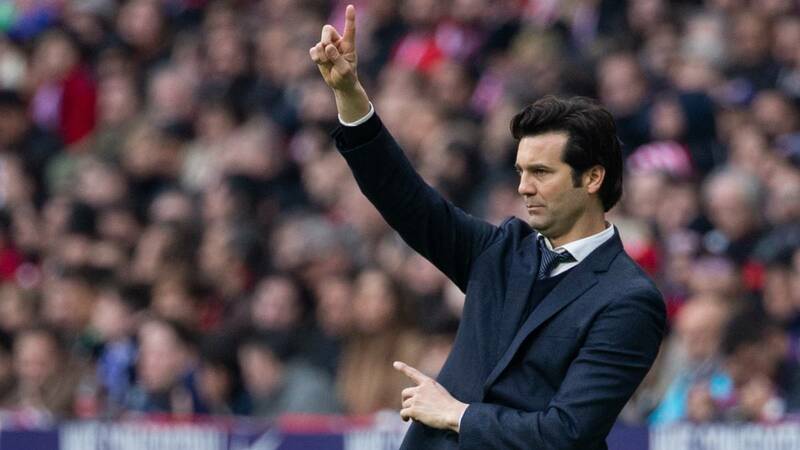 And since then Solari has achieved five consecutive wins in the league, converting Madrid in the best team of this section: 15 points for the 11 of Barça, 10 for Getafe and Leganés, and nine for Valencia, Atlético and Real Sociedad. In addition, in this cut of difference, Solari also has the best balance of goals of all the teams of the League: 10 thanks to his 14 goals in favor and 4 against. Behind Barcelona appear with seven (10-3), Getafe with five (9-4), Valencia with four (8-4) and Eibar (10-7) Leganés (9-6) and Atlético (7-4) with three.